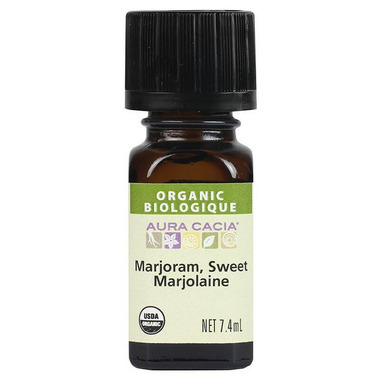 Aura Cacia Organic Sweet Marjoram Essential Oil is to be used in aromatherapy. Often overshadowed by lavender, sweet marjoram essential oil offers many of the same benefits without lavender as a calming and therapeutic agent. Exactly what i wanted. identical to artisanal steam distillation of origanum marjorana( sweet marjoram)!! Great price range too!